Description: From 2 to 8 inches tall. 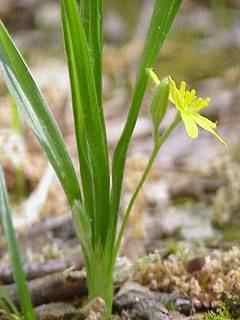 Leaves are hairy and grass like, taller than the flowers. 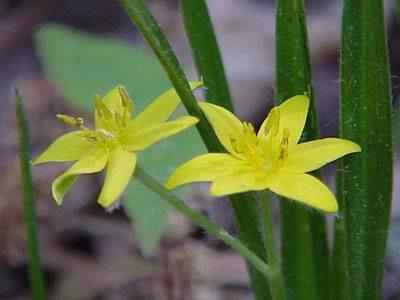 Flowers have 6 pointed petals (star like) are distinctive. 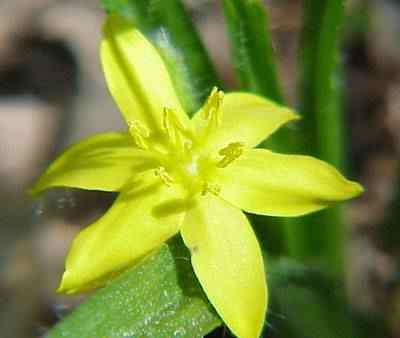 Flowers are in clusters on top of a slim stem that rises from th base of the plant. Bulb root.